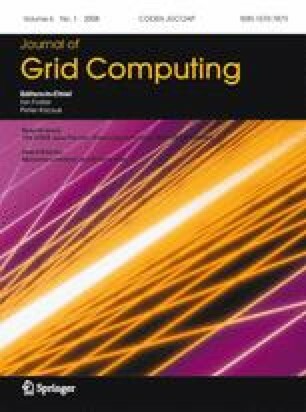 In this paper we present the experience of the ATLAS and CMS High-Energy Physics (HEP) experiments at the Large Hadron Collider (LHC) with the LCG/EGEE Grid infrastructure. The activity developed around the following two main lines: large-scale physics and detector simulations and end-user analysis. The LCG/EGEE Grid infrastructure offers a large amount of computing and storage resources and is growing very rapidly. It provides the natural environment for large-scale physics and detector simulations. Also, the analysis of these detector simulation data (and in the near future of the reconstructed data from physics collisions) requires efficient end-users access to Grid resources. In this paper, the main findings and lessons learned in terms of performance, robustness and scalability of the whole system are discussed in detail. S. Campana, Maarten Litmaath, Andrea Sciaba: “LCG-2 Middleware Overview”, CERN-LCG-GDEIS-498079, http://edms.cern.ch/file/498079/0.1/LCG-mw.pdf.